What’s Poppin’ Tonight! LIV Miami & Headliner Market Group presents Yo Gotti Album Release Party + More at LIV Nightclub #LIVOnSunday ~ Phresh Hott New! 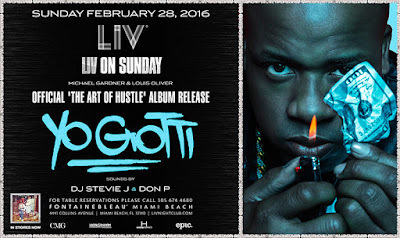 Sounds by Stevie J | Don P | + More! Location: 4441 Collins Avenue Miami Beach, FL 33140. More On Phresh Hott New! Billboard Hot 100 Top 10 Charts! !